Seattle in Progress tracks construction projects throughout Seattle, giving local residents and businesses a way to stay informed at each step of the process right from their phones. Seattle is one of the most rapidly growing cities in America. Construction projects have become a normal part of everyday conversation, and with that, the desire to know what's being built downtown, down the street, or even right next door. Beyond providing information to satisfy curiosities, Seattle in Progress can also notify users of new projects, giving naysayers the chance to appeal for changes to construction plans that might create unfair or unappealing living situations. 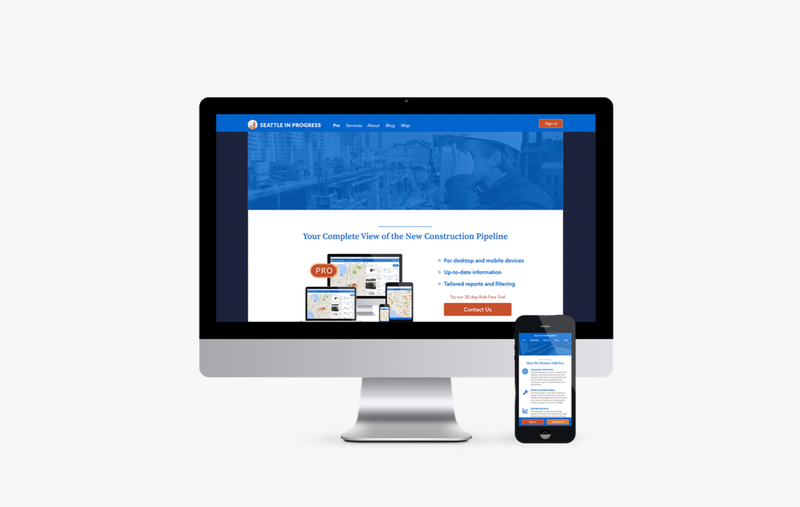 We worked with them to revamp their marketing website, improve the user experience design for the responsive web app, and extend it as a white label solution for businesses. They were able to double their business as a result. 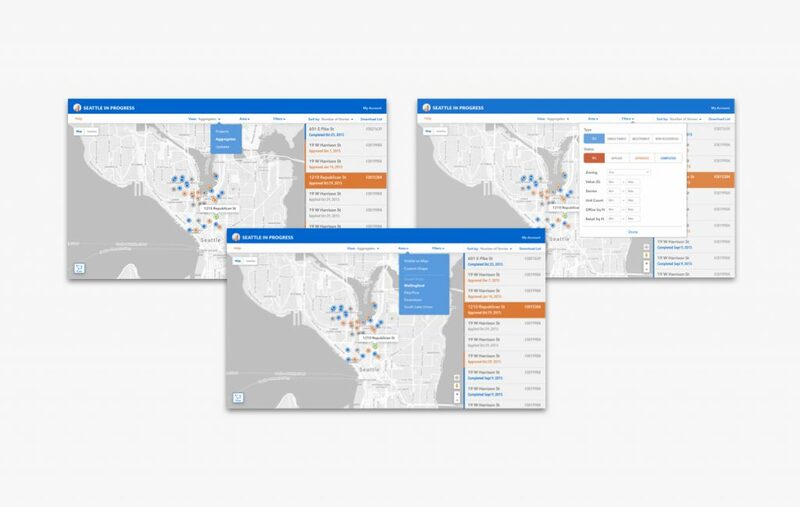 See the work we did for the Seattle in Progress app interface.